Unicorn parties have been the most requested party over the past 6-8 months. Normally a children’s movie or new toy inspires what kids request for their birthday theme. But the magic of unicorns have captured young imaginations without the help of hollywood. Everyone can use a little unicorn magic in their lives. 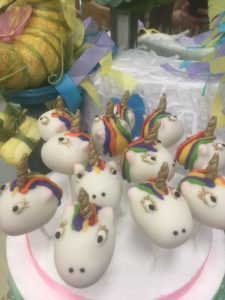 A typical Unicorn party consist of magical decorations, crafting unicorn horns, dancing like unicorns, unicorn face painting and fun magical food.